This tart cherry jam isn't your your average jam, it is made with chia seeds instead of gelatin! This blend of sweet and tart with the amazing texture of chia seeds is a heavenly spread to your toast! 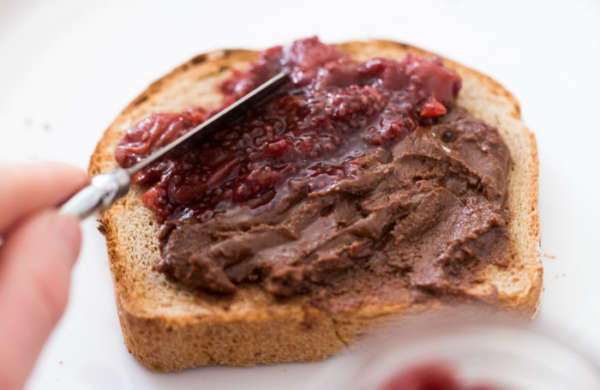 Many jams contain a ton of sugar, but this recipe uses maple syrup with is a natural sweetener you can feel good about. ENJOY! 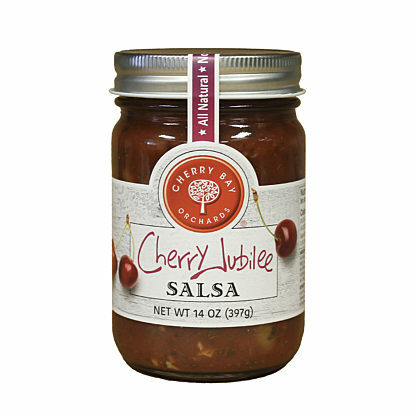 In a small skillet, add the tart cherries, lemon juice, maple, spices, vanilla, and 1 tablespoon water. Simmer about 10 minutes over medium heat until cherries begin to break down, stirring occasionally and using the back of a spoon to break them apart. 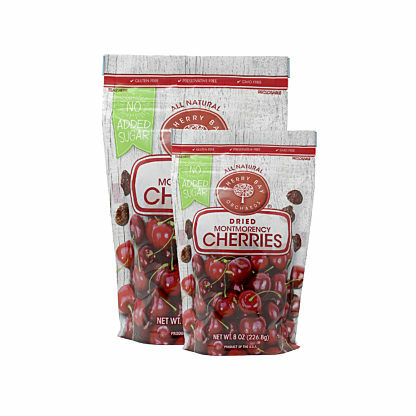 Once the cherries are broken down, add 2 tablespoons chia seeds and stir until combined. Turn off heat and wait for the jam to thicken, about 5 to 7 minutes. Transfer to a canning jar and refrigerate; the texture will set even further when chilled. Keeps refrigerated for 2 weeks. Recipe courtesy of Recipe courtesy of Sonja Overhiser, ACoupleCooks.com.